Ó Cíobháin also gives the alternative name An Caisleán Geal [TH], 'the bright castle'. The path known as Bóthar na Gíge or the Zig-Zags attains the ridge near the summit of Cnoc na Toinne. Cnoc na Toinne is the 23rd highest place in Ireland. 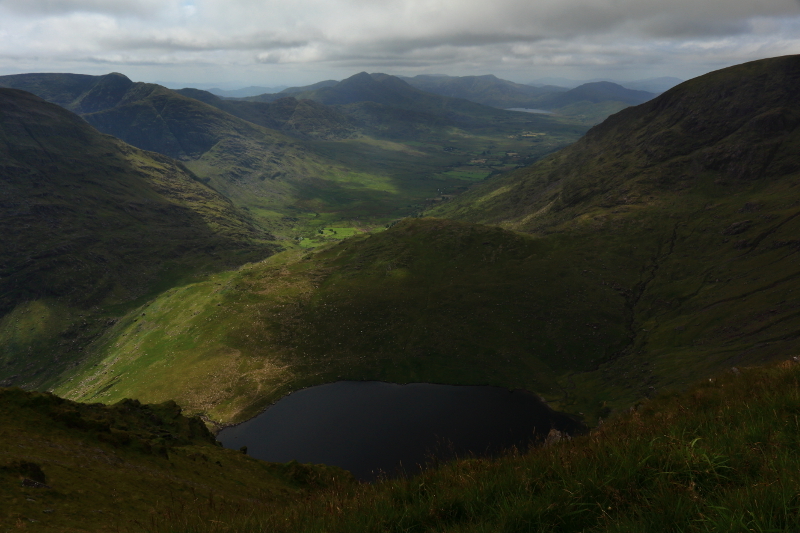 Alternative Descent Of Carrauntoohil With Bonus Views.